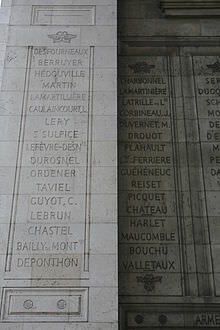 The son of a notary, Louis Harlet joined the army as a lieutenant in the 3rd Battalion of Volunteers of Marne in September of 1791. The next year he served in the Army of the North and then in 1793 he joined the armies serving in the west. In June of 1793 Harlet was promoted to capitaine and then in December he was wounded by a shot to the left leg at Savenay. After serving in the west for a number of years, he joined the Army of Italy in 1797. In 1798 Harlet was wounded by a shot to the left arm at Terni. The next year he served with the Army of Naples and he distinguished himself that January at Capua and Naples. Harlet then went on to serve in the Army of the West and the Army of the Observation of the South. From 1803 to 1805 Harlet served with the Army of the Coasts of the Ocean. Once the war with the Third Coalition got underway in 1805, Harlet was named a capitaine in the Grenadiers à Pied of the Imperial Guard. 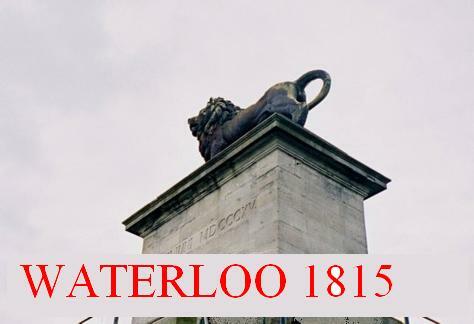 He served with the Grande Armée on the campaigns of 1805, 1806, and 1807 and he received a promotion to chef de bataillon of the Fusiliers Grenadiers of the Imperial Guard in February of 1807. Harlet continued his service with the Imperial Guard and he traveled with them for the campaigns in Spain in 1808 and then in Germany in 1809. In July of 1809 he joined the 1st Regiment of Grenadiers à Pied of the Guard and then in 1810 he was named a Baron of the Empire. In 1811 Harlet was named a major-colonel of the 2nd Regiment of Grenadiers à Pied of the Imperial Guard. In 1812 he served on the campaign to Russia as part of Curial’s division. 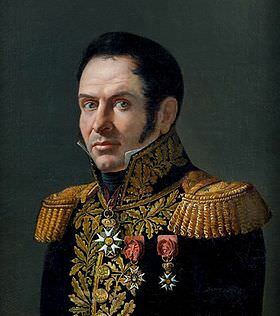 As Napoleon rebuilt his army in 1813, in April of 1813 Harlet was promoted to général de brigade and he initially took a command that became part of General Bertrand’s IV Corps. Not long thereafter he took command of the 1st Brigade of Rochambeau’s 19th Division in Lauriston’s V Corps of the Army of Germany. He served at Eichberg in May and then at the Battle of Leipzig in October where he was taken prisoner. After Napoleon’s abdication in 1814 Harlet was released and he returned to France. He was named a Knight of Saint Louis but put on non-activity. After Napoleon returned from exile and resumed power for the Hundred Days, Napoleon named Harlet major-colonel of the 4th Grenadiers à Pied of the Imperial Guard. Serving as part of Roguet’s division, Harlet fought at the Battle of Waterloo in June where he was wounded by a shot to the right thigh. After retreating, he served near Paris and then on the Loire, and then in 1816 he was put on non-activity.